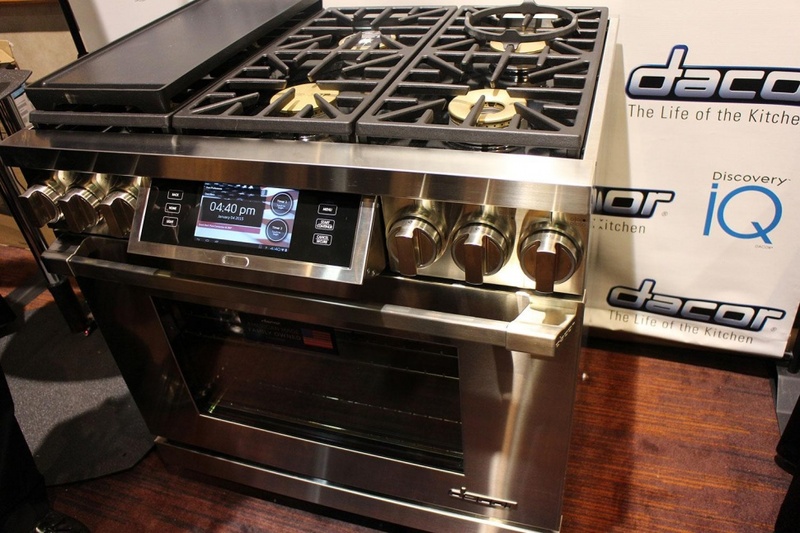 Smart kitchen devices stole the show at this year’s Consumer Electronics Show (CES). From a voice-activated oven and a cooking robot to a beer brewing machine and an organic food sensor, startups and big brands alike debuted scores of far-out devices. 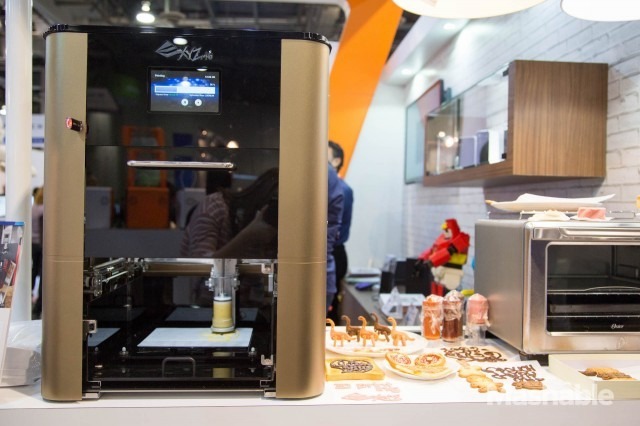 Here are 9 of the most innovative kitchen concepts on display at CES. Whirpool stepped up its kitchen of the future prototype from last year. Its new 2.0 concept offers a connected social media hub that syncs all of your devices and appliances. As part of the installation at CES, Whirlpool also prototyped an interactive backsplash and cooktop that connects to your social media accounts, websites and digital recipes, and allows you to create customized menus on the sleek surface alone. 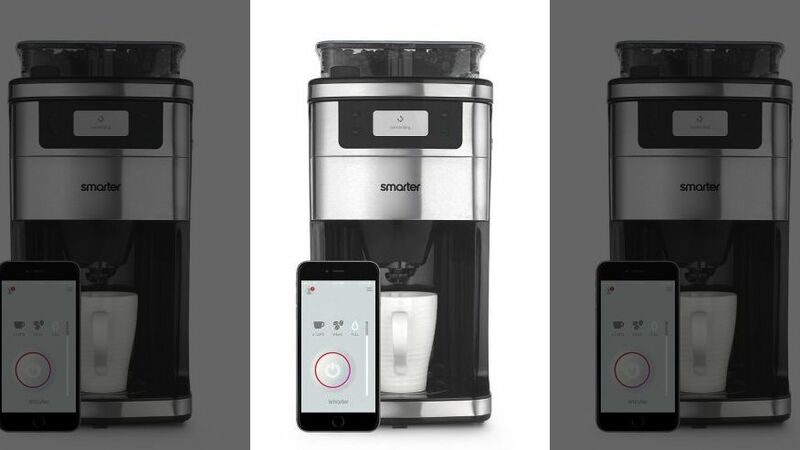 Smarter‘s Wi-Fi enabled coffee machine grinds your beans and adjusts the water level to customize the perfect cup. With its companion app, you can remotely check on the amount of beans to know when you’re running low. It will be available in the U.K. in Spring 2015 for $129. XYZPrinting’s new food 3D printer takes in raw food (limited to ingredients for cookies and sweets for now) and prints it into customizable shapes. It has a touchscreen that allows users to choose from different designs, and they can also upload their own designs via USB. The printer will be on the market in Q2 2015, but there’s no set price yet. 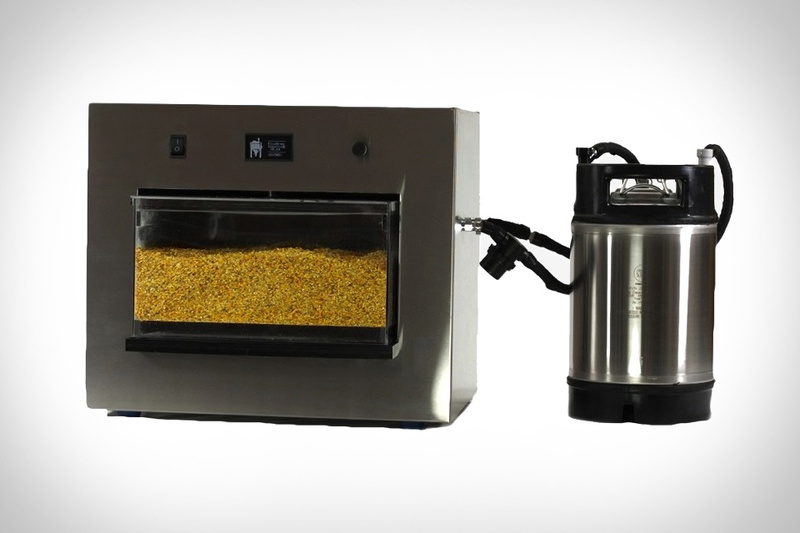 PicoBrew Zymatic is a fully-automatic, Wi-Fi enabled craft beer brewing appliance. And at roughly the size of a microwave, it’s ideal for even city-dwelling home brewers. It takes about 4 hours to brew an unfermented beer, and the device allows you to modify each individual batch to perfect your recipe or experiment with new concoctions. 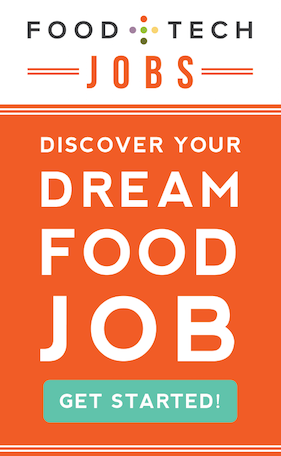 You can access its database of 100 recipes or provide it with your own custom recipes based on your favorite brews. The Penguin Organic Food Safety Checker goes beyond labels and tests food for traces of chemicals, including pesticides and antibiotics. Users must insert a tiny piece of food (or a drop of liquid) into the sensor, and results are ready within minutes. While the process seems a bit cumbersome, it could prove a game-changing tool for discerning foodies, institutions and food manufacturers alike. The Sereneti Cooki is your very own coking robot. 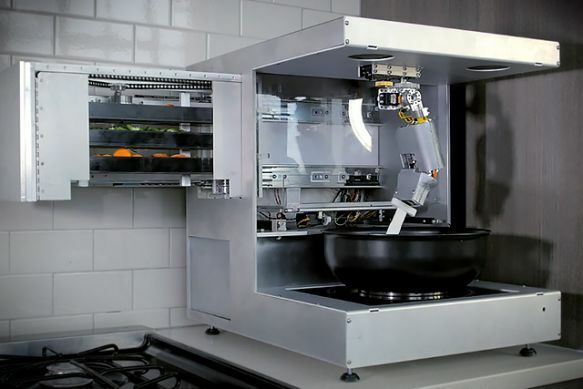 It’s a Wi-Fi enabled robotic arm the works over a burner, stirring, mixing and cooking your meals for you. 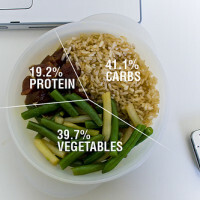 The startup also offers a meal plan that accompanies the Cooki which is geared towards the culinarily averted. For $5 or under, you can have fresh ingredients in prepared trays delivered, and all you have to do is slide them into the Cooki. 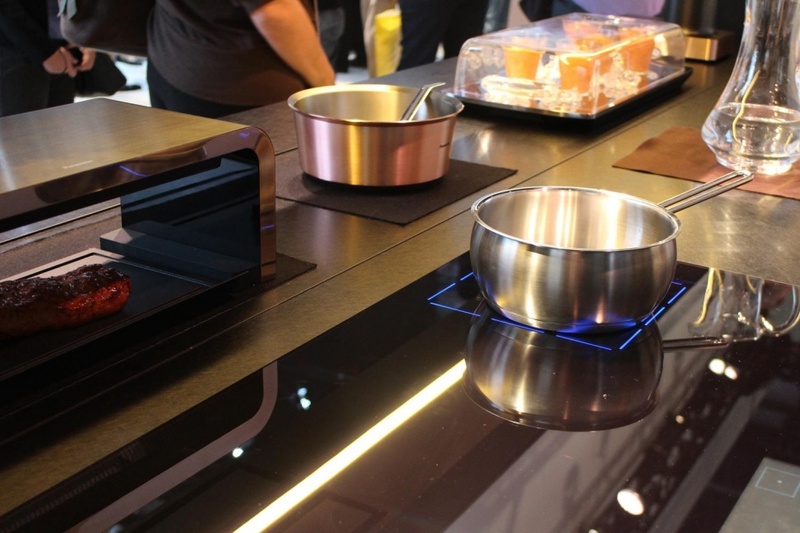 Samsung’s Chef Collection Slide-in Induction range has a futuristic-looking virtual flame, but it’s purely ornamental. 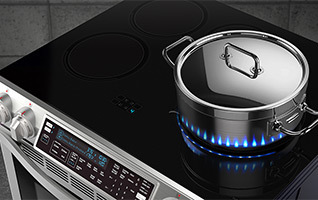 The induction stovetop focuses the most possible heat on the pot and allows for faster cooking times, more control and more energey efficiency than gas or electric. To make it look more like a normal gas stove, LED lights shine onto pots and pans as they cook. Panasonic‘s kitchen of the future is chock-full of cameras. They’re inside the oven, refrigerator and dishwasher to help users monitor all kitchen activity on an interconnected tablet. Its kitchen of the future also has self-stirring pots and induction ranges like Samsung’s. But the design of the kitchen is also revamped, with an under counter fridge (to save room and potentially food waste), a black sink and appliances the drop down to make more counter space available (amen). Soon you’ll be able to speak to Dacor’s Discovery IQ line of smart oven ranges, and they’ll listen. Its iQ Controller and iQ Remote app’s voice activation will let you turn the oven on or off, switch settings and set timers. 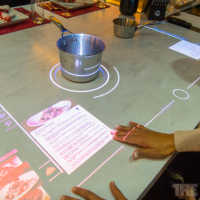 Ranges with a tablet included –which displays recipes on screen and can be used with the Android IQ cooking app–cost $9,000 or $12,000 depending on the size. The voice activation feature will be available in Spring 2015.